Parking Lot Paving and Repair Solutions | LL Pelling Co. When you hire LL Pelling, you get a company with a solid reputation, highly experienced employees, and a strong track record for professional paving and repair. LL Pelling has been serving Iowa City, Cedar Rapids, and the surrounding area since 1949, long enough to know what works and what doesn’t. We maintain a large loyal customer base who value our expert knowledge, quality workmanship, and strong track record. When you hire LL Pelling, you get a company with a solid reputation, highly experienced employees, and a strong track record for professional paving and repair. That’s the LL Pelling advantage. No two parking lots are the same. At LL Pelling we don’t use a “cookie cutter” approach to parking lot paving and repair. Our professional estimators customize every quote taking into consideration: your needs, traffic volume and type, subgrade load baring capacity, drainage provisions, and current pavement condition. Tip: Choose your contractor carefully. When comparing quotes, compare the job specifications and asphalt thickness. When our quote states a three inch parking lot that's what you'll get after compaction. You get what you pay for. LEED, or Leadership in Energy and Environmental Design, is the most widely used green building rating system in the world. LEED certification is a globally recognized symbol of sustainability achievement. At LL Pelling we have the capability to utilize Reclaimed Asphalt Pavement (RAP), Recycled Asphalt Shingles (RAS), and Warm-Mix Asphalt (WMA) in our designs. 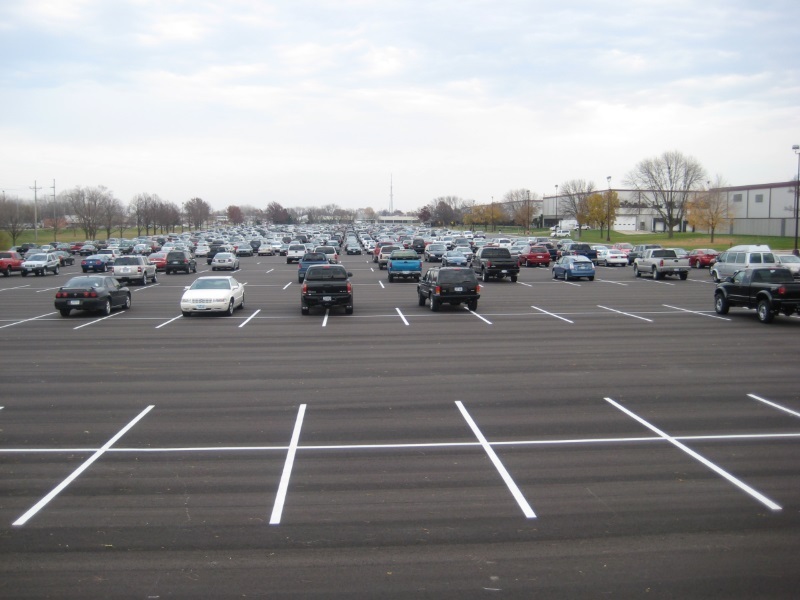 We also design porous asphalt parking lots for storm water management. The stone and asphalt cement in it are just as valuable as all-new materials reducing the need for virgin resources. Saves thousands of tons of shingles from ending up in the landfill while reducing greenhouse gas emissions. On projects with requirements for LEED, these green materials and practices may assist designers and owners in achieving certification.